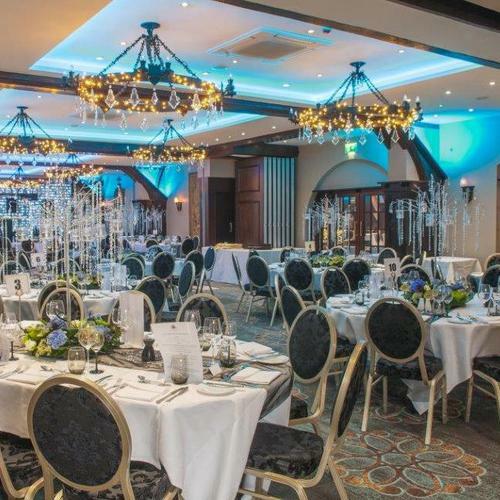 The Royal Chace Hotel is a stylish 4-star hotel located in North London, set within 5 acres of carefully maintained gardens. 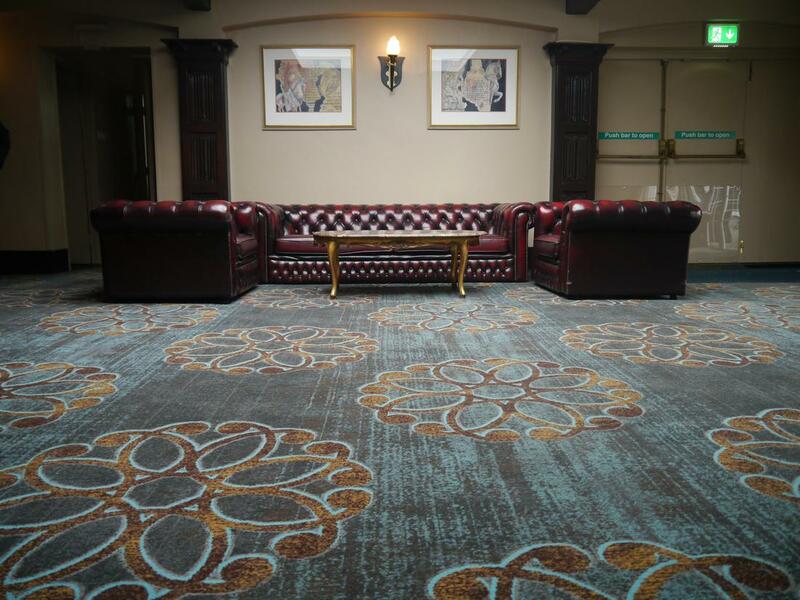 Brintons worked with the Hotel Manager to provide custom axminster carpet for the newly refurbished Queen's Suite. 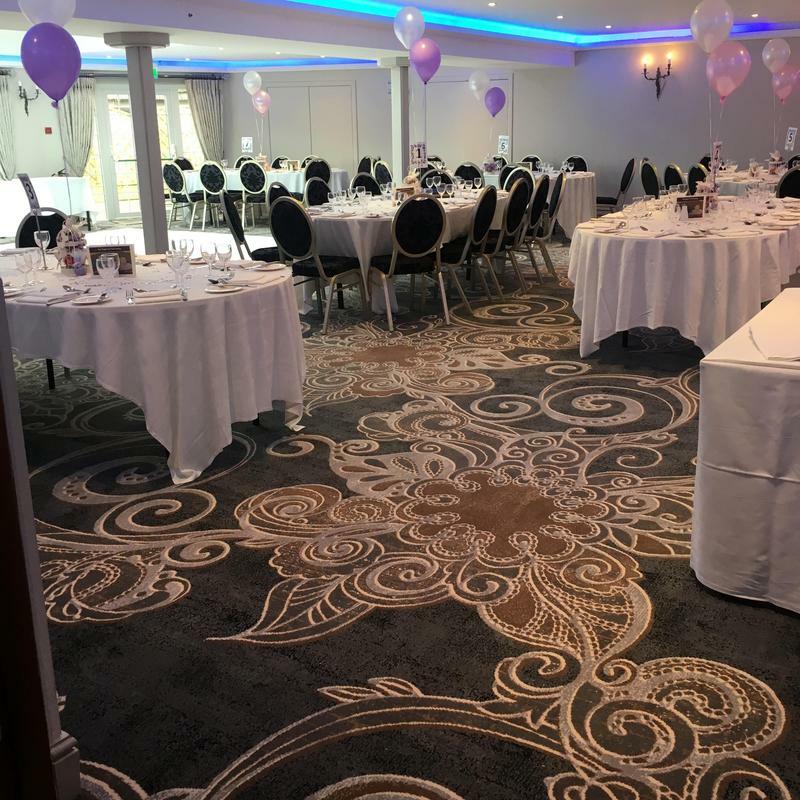 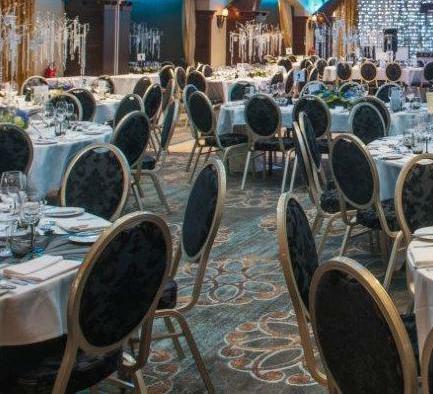 This large banqueting room is available for up to 250 guests, and has stunning views of the Hertfordshire countryside and London skyline. 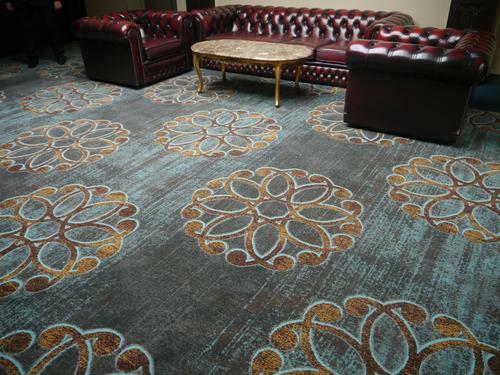 A design from Stacy Garcia's Nouveau Boho collection was chosen, the large scale design features a modern Persian style motif in a sumptuous palette of blue jewel tones. 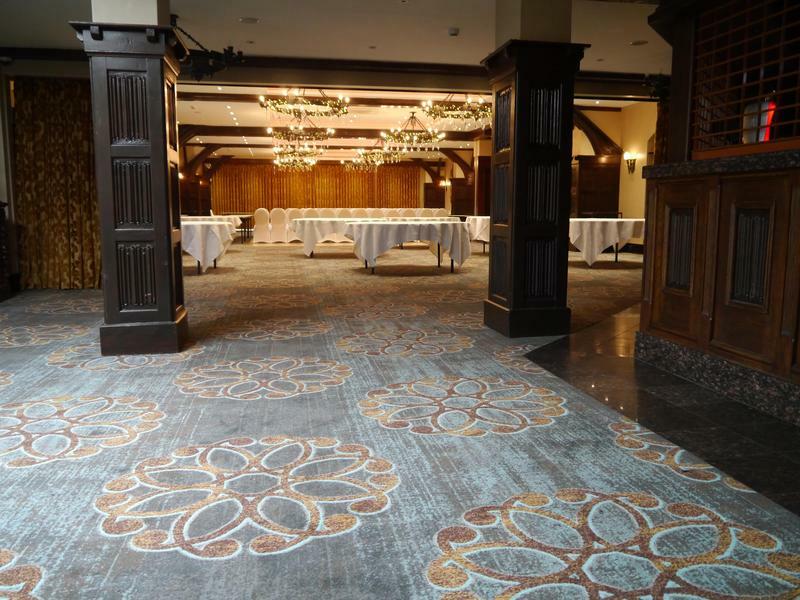 The carpet was the central focus of the refurbishment of the ballroom, it is the main feature of the Queen’s Suite, and it wouldn’t have looked complete without it. 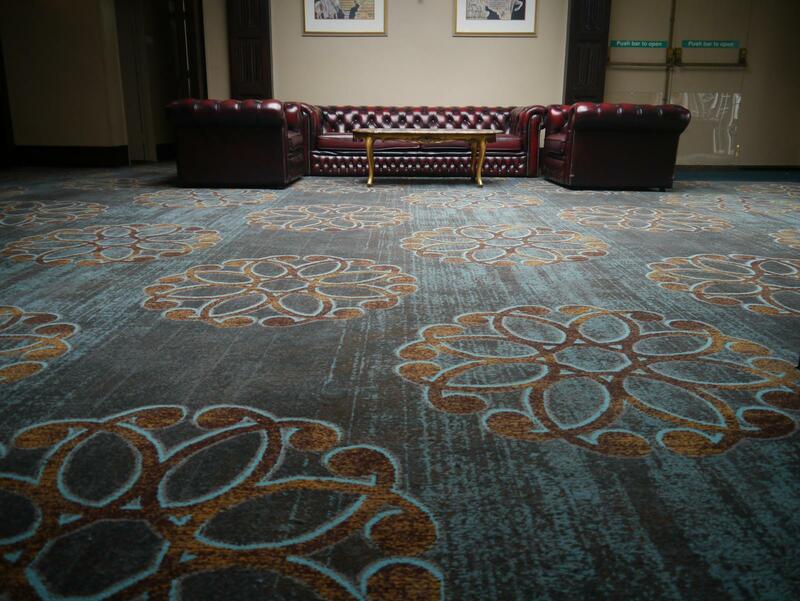 The design retains the old elegant style of the Queen’s Suite whilst bringing a new, modern twist through the elaborate motifs. 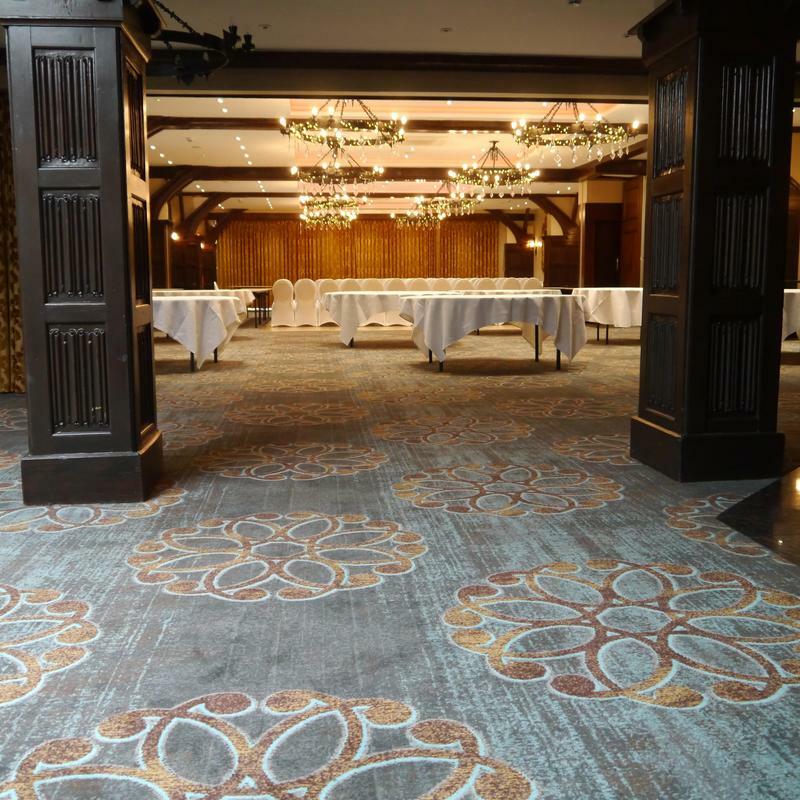 It is fantastic to still retain the old ambiance of the ballroom whilst adding a new found beauty.